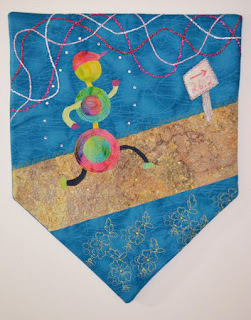 Explorations in Quilting and Life: An Olympic Pennant! 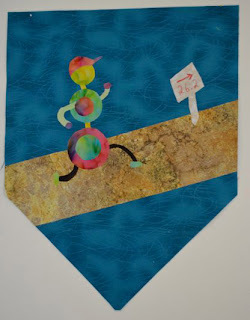 One of my favorite bloggers - Linda Robertus - posted in June about a pennant she made for the London Olympics. 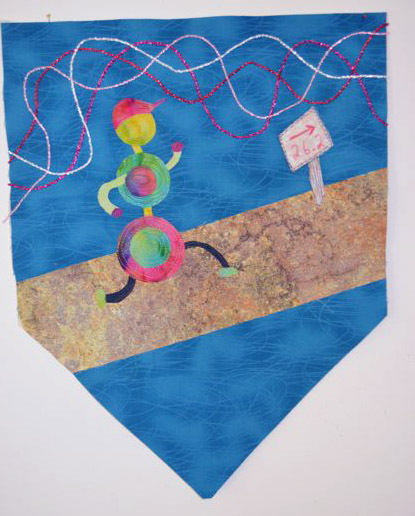 The idea immediately appealed to me and I researched the project that she contributed through -- Quilts 4 London. Their goal is to present each Olympian at the 2012 Olympics with a pennant. That is a huge undertaking with a goal of upwards of 14,000 pennants. How could I not participate? So, I began sketching some ideas. Of course, June was a hectic month and I often bemoaned being away from my Bernina for too long. 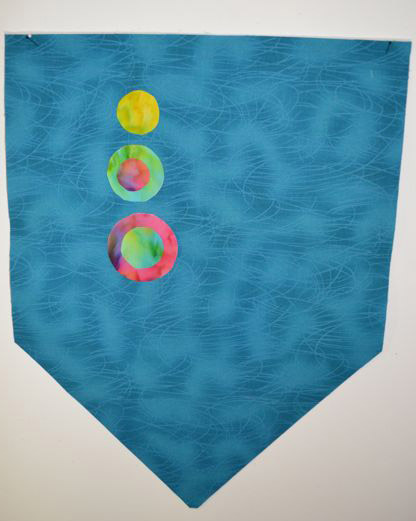 However, I realized Friday that I could use this brief time back home for the 4th of July holiday to create a pennant. It would be a manageable undertaking and therapeutic for me. I decided to go for the light-hearted and create a pennant for a marathon runner. That seemed appropriate since I will be doing the Missoula Marathon on July 10 - that is coming up quickly, isn't it! Thanks, Linda. I hope to back to not just sewing, but following and commenting on blogs within a week! Such fun! Good luck in the marathon, Judy; I know you'll finish strongly. Thanks, Margaret. Hope you are having a great summer. I can visualize you out on your bench in your yard.